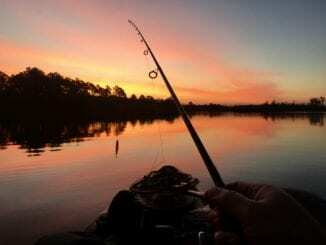 Who’s ready to catch a ton of fish in June? Read the rest of What’s Biting – June! Offshore Kayak Fishing Charters are in full swing! There are tons of Mahi, Kings, and Spanish swimming around just off of the beach. However, Red Snapper opens on June 11th and that’s exactly what we will be chasing. 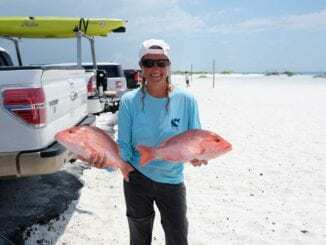 The Red Snapper population is booming off of Navarre Beach, Florida. We checked five bottom spots and all of them were loaded with fish. We run a ton of Red Snapper charters and are always ready to put you on the fish! Don’t wait until the last minute to schedule your trip, openings fill quickly. The Redfish bite has been phenomenal and we don’t see it slowing down anytime soon. If you’re looking to catch a Redfish, now is the time. Sight casting these guys is a blast!